Keep your Parasol Mini-Blossom Hummingbird Feeders looking lovely with the Parasol Replacement Mini-Blossom Vessel. This vessel is crafted from hand blown, recycled glass, for a beautiful and sturdy item. The bold blue hue lends a fun bit of color to the piece. 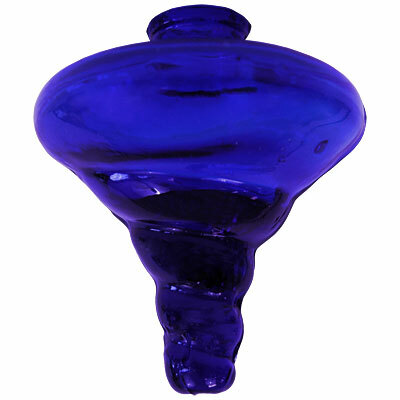 Use this Replacement Mini-Blossom Vessel as a replacement reservoir for your existing Parasol Mini-Blossom Hummingbird Feeders with Blue Vessels.